‘Come away, O human child! Now I know that Connemara is in Galway and that Yeats is associated with County Sligo but both are in the same province, Connacht. As I travelled around and drank in the raw and rugged beauty of the region it was so easy to understand how the elemental landscape could inspire writers, poets and artists. The Stolen Child is one of Yeats’s earlier poems, he had an interest in mythology and folklore and the poem tells the story of a child lured away by the fairies to an otherworldly place. If you would like to hear the poem here it is on YouTube. I’ve only ever seen a tiny part of Ireland, but it was so very easy to fall in love with its beauty and wildness and its innate poetry! I can only imagine how wonderful this wander of yours was. 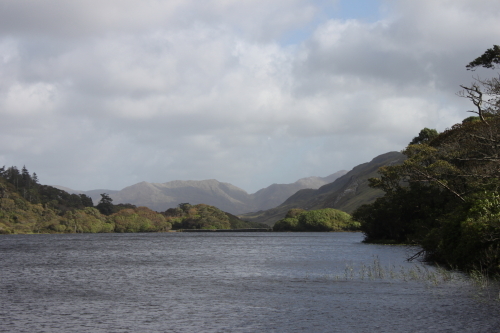 I suppose I was so struck by Connemara as I normally spent short breaks away in cities, also it stands in such stark contrast to the east of Ireland where I live. Thank you very much. Connemara is beautiful and I am please you all loved it. I was lucky with the weather on last year’s trip to the west of Ireland and I hope that you were too when you were all there.